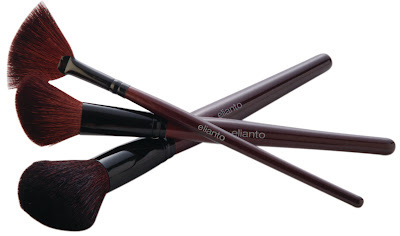 From top to bottom: Fan brush, Angled Blush/Contour Brush and Powder Brush from Elianto. I'm not a fan of their Face brushes because they're not as soft as their eye brushes but did you know that you can actually soften your brushes using professional diy hot oil/hair mask/hair treatments? For example, I just recently softened my Elianto powder brush using HBC Protein Hair Treatment. I left it on the brush for two minutes and it did leave me with softer bristles. Note that you CAN'T leave a hot oil treatment on your make-up brush too long as it might affect the color of your brush. As with Elianto brushes, leaving a hair treatment on the brush can make the pretty red pigments of the brush bleed. So you're just starting to learn about make-up? If you're serious about improving your make-up skills, then you're probably testing the waters and learning bit by bit about the different make-up tools out there. For starters, of course the make-up brush is your first 101. 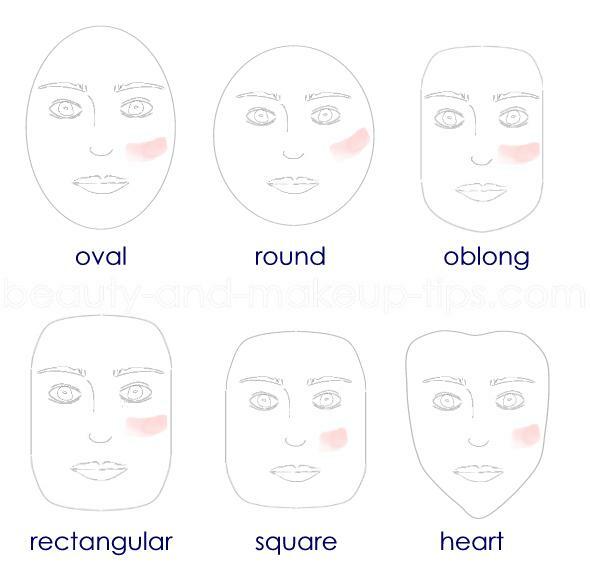 You are still discovering your make-up application style. 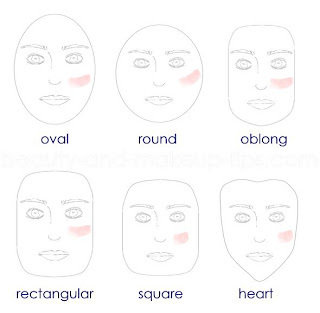 This affects the specific details you'd be looking for in a brush such as length, weight, softness, etc. Of course there's the universal need for durability and quality but based on my experience, among many, brush handle length can vary per person so it's best for you to find on your own what you'd be most comfortable working with. Here's a shortlist of brushes that you might encounter as you go build your make-up kit. Powder Brush (shown in photo above)- aka Face Brush, is used to dust loose powder all over the face prior make-up application or to set your make-up. 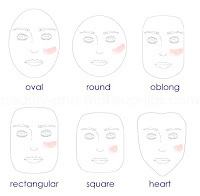 It is used to mattify the face using loose powder. Simply load the brush with loose powder, tap excess, and swipe and swirl all over the face to evenly spread powder. Tip: Should be kept properly in a roll, preferably with a brush guard. A brush guard can help protect your brush from dirt and bacteria from sitting on the bristles and also it can help maintain the shape of your brush. A Powder Brush can be really fluffy so in order to maintain the its proper shape, use a brush guard. Check out www.thebrushguard.com. Personally I love investing on eye brushes because among many things, it is the eye make-up that can be most exciting, difficult, challenging, delightful of them all! Photo above features Eye Brushes from Elianto. I vouch for their Eye Blender Brush, Small Angled Brush, Precise Crease Brush (though I'm not sure if it's still available since it's a really old stock... I don't even have it anymore, it's that old, but it was one of my first few make-up brushes that really went a long way!) and their Nose Shaper Brush (which I declared I would use also as an eye shadow applicator--haha!). Their Eye Brushes are really so soft compared to their face brushes. Eyeshadow Brush- which comes in varying sizes (small, medium and large). The name speaks for itself. It is a fluffy brush used to apply eyeshadow on the lids. The size affects precision in terms of applying eye color. Larger eyeshadow brushes are preferrably used to apply a base color on the lids while smaller eyeshadow brushes can be used to reach corners or to sweep precise lines of colors on the eye lids. A Medium-sized eyeshadow brush can be the best of both worlds as it is capable of easily priming and in precisely coloring the lids. Tip: It is best to use a brush per eye shade when doing a multi-colored eye make-up so as to avoid mixing shades on your brush--something you wouldn't find pleasing especially if you want solid areas of particular colors for your eye make-up. As follows, it is best to clean your eye shadow brushes often, especially after using a strongly pigmented eye shadow. Light colored brush hairs can also be stained if not cleaned often/soon after a pigmented eye shadow. Lip Brush- I fine tipped brush that is used to evenly apply lipstick on your puckers. It is recommended because it prolongs the life of your lipstick not only in terms of consumption but also in terms of shelf life. Using lipsticks directly on the lips can be unhygienic EVEN if you don't share your lipstick! (Imagine those who do!) Same with the Liquid Foundation Brush, you should often clean your lip brush because it can easily breed bacteria--bacteria you wouldn't want to be anywhere near your mouth! Well, those are the basics that starters should first invest in. Of course there are more brushed out there, but like I said... take your time. Start with a solid foundation and pave your own way. For cheap yet functional brushes, try also E.L.F. Please send me some love by clicking the Hug button below. Please comment. :) Thank you for following! i love this post a lot. super super informative - especially for a newbie like me.